For this assignment, you will create a Jupyter Notebook with your answers to the questions below, and submit this Jupyter Notebook to a Github repository for Homework 2 following the instructions below Part 3: Submit Your Jupyter Notebook to GitHub. You need to complete this assignment (Homework 2) by Tuesday, August 14th at 8:00 AM (U.S. Mountain Daylight Time). See this link to convert the due date/time to your local time. This assignment will test your numpy arrays and pandas dataframes skills from Days 4 and 5. You will be asked to download and use data from Figshare.com on monthly snowfall (inches) between the years 2007 and 2017 for Boulder, Colorado, provided by the U.S. National Oceanic and Atmospheric Administration (NOAA). 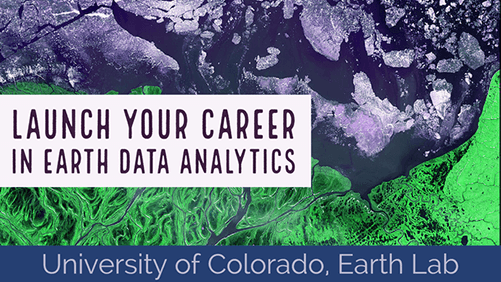 Be sure that you have completed all of the lessons from Days 4 and 5 for the Earth Analytics Bootcamp. Completing the challenges at the end of the lessons will also help you with this assignment. Review the lessons as needed to answer the questions. You will need to fork and clone a Github repository for Homework 2 from https://github.com/earthlab-education/ea-bootcamp-hw-2-yourusername. You will receive an invitation to the Github repository for Homework 2 via CANVAS. Review the Earth Analytics Bootcamp reference page on PEP8 Style Guide, which provides more information on naming conventions within the Python community. Reflect on the PEP 8 style guide as you write your code for this assignment and assign variable names. The last question in this assignment asks you to discuss the use of the PEP 8 style guide. Begin by creating a new Jupyter Notebook in your forked repository from https://github.com/yourusername/ea-bootcamp-hw-2. Rename the file to firstinitial-lastname-ea-bootcamp-hw-2.ipynb (e.g. jpalomino-ea-bootcamp-hw-2.ipynb). In the questions below, you will be creating numpy arrays, and pandas dataframes. You will also be creating plots and downloading data from Figshare.com after setting the working directory. Import the necessary Python packages to accomplish these tasks. This snowfall dataset (inches) contains a row for each year (starting with 2007 through 2017) and contains a column for each month (starting with January through December). Use the appropriate function to import snow-2007-to-2017.csv into a numpy array. Print your imported numpy array after setting the appropriate the options to supress the scientific notation. [[27.5    15.3     4.5     2.2     0.0001  0. 0. 0. 0. [10.3    10.4    17.6     7.9     0.7     0. 0. 0. 0. [13. 3.9    21.4    20.4     0. 0. 0. 0. 0. [ 4.6    22.9    28.7     5.8     5.6     3.5     0. 0. 0. [18.2    13.2     0.7     3.5     0.2     0. 0. 0. 0. [ 7.8    32.1     0.0001  1.6     0.0001  0. 0. 0. 0. [ 3.7    18.5    22.8    47.6    12.3     0. 0. 0. 0. [ 6. 54.6     8. 7.4     3.9     0.0001  0. 0. 0. [ 4.1    21.8    32.5    21.4     1. 0. 0. 0. 0. [18.7     9.9     0. 19.4     6.1     0. 0. 0. 0. Convert the values in your numpy array from inches to millimeters. Recall that one inch is equal to 25.4 millimeters. Print your new numpy array, again supressing the scientific notation. [[ 698.5      388.62     114.3       55.88       0.00254    0. [ 261.62     264.16     447.04     200.66      17.78       0. [ 330.2       99.06     543.56     518.16       0. 0. [ 462.28     335.28      17.78      88.9        5.08       0. [ 198.12     815.34       0.00254   40.64       0.00254    0. [  93.98     469.9      579.12    1209.04     312.42       0. [ 690.88     297.18     284.48     309.88     172.72       0. [ 104.14     553.72     825.5      543.56      25.4        0. [ 474.98     251.46       0. 492.76     154.94       0. Create (and print) a new numpy array containing all data values for the first year (2007). Be sure this new numpy array contains the converted values (mm). Create (and print) a new numpy array containing all data values for January across all years. Be sure this new numpy array contains the converted values (mm). Calculate (and print) the maximum value of your numpy array for 2007. Add a text string to your print to label your result. Calculate (and print) the mean (i.e. average) value for your numpy array for January. Use the appropriate function to import snow-2007-to-2017-months-seasons.csv into a pandas dataframe. Convert the values in your pandas dataframe from inches to millimeters. Recall that one inch is equal to 25.4 millimeters. Print your new pandas dataframe. Calculate (and print) the summary statistics of your pandas dataframe with the converted values. Are any of your numpy arrays for the snowfall data one-dimensional arrays? How do you know? Explain your answer. Was one data structure easier to use than the other (i.e. numpy array vs pandas dataframe) to convert the units from inches to millimeters? Explain your answer. Was one data structure easier to use than the other (i.e. numpy array vs pandas dataframe) to calculate the maximum and mean values (i.e. averages)? Imagine that you completed the mean calculation for all years in the original numpy array. Explain your answer. How could you imagine using these two data structures together in same analysis workflow? Create a plot of your choosing for the monthly snowfall in 2017. Be sure to add a title and label the axes with the appropriate units. What motivated your plot choices for the snowfall data in pandas dataframe (e.g. plot type, color, etc)? How did your review of PEP 8 naming conventions influence your choice of variable names in this assignment? What are some ways in which these conventions are promoted and/or enforced within the Python community? Guided Activity on Version Control with Git/GitHub to add, commit, and push your Jupyter Notebook for Homework 2 to your forked repository for Homework 2 (https://github.com/yourusername/ea-bootcamp-hw-2-yourusername). Guided Activity to Submit Pull Request to submit a pull request of your Jupyter Notebook for Homework 2 to the Earth Lab repository for Homework 2 (https://github.com/earthlab-education/ea-bootcamp-hw-2-yourusername).